Goldman Sachs is not the best example of running an ethical business. In 2006–2007 the investment giant peddled $40 billion in securities backed by at least 200,000 risky loans. Then turned around and bet against those same securities, passing along the losses of the 2008 crash to pension funds, labor unions, insurance companies and financial institutions around the world. At the end, when the dust settled, Goldman Sachs and other financial institutions that followed the same practices were bailed out by the American tax payers. With a commitment of $16.4 trillion dollars in loans by the Federal Reserve that were not completely disclosed until Congress forced a one-time audit in November of 2011. Almost a decade after, there are no criminal charges and the investment bank keeps doing whatever it wants. Which leads me to their latest endeavor, giving a life line to a narco-state that needed some quick cash at any cost. On Sunday, May 28th, 2017, the Wall Street Journal reported that Goldman Sachs purchased $2.8 billion dollars in Venezuelan bonds at 31 cents on the dollar. 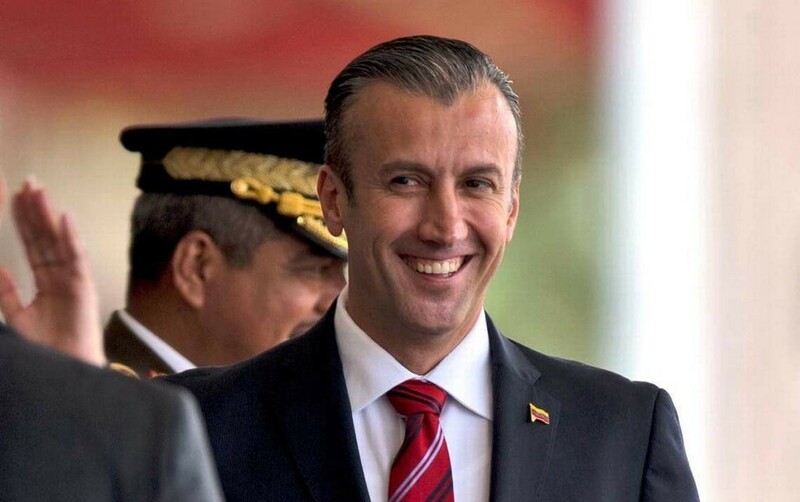 The bonds are issued by the state run oil company PDVSA and mature in 2022. Effectively giving the cash strapped authoritarian government more than $800 million dollars. The oil rich country located on the northern tip of South America has been under an authoritarian and populist government since 1998, when the now dead Hugo Chavez won the elections promising the socialist revolution of the 21st century. With a strong anti-American stance and economic policies that ended up sinking the country into one of the most tragic stories of ill-managed resources, Venezuela became a sanctuary for crime, terrorism and corruption at epic proportions. To quickly explain the political scenario in Venezuela and understand the profound disregard for ethics at Goldman Sachs, here are some key facts about the country and the people that run it. Venezuela is known as one of the largest drug bridges in the world. It is home to “El Cartel de los Soles”. 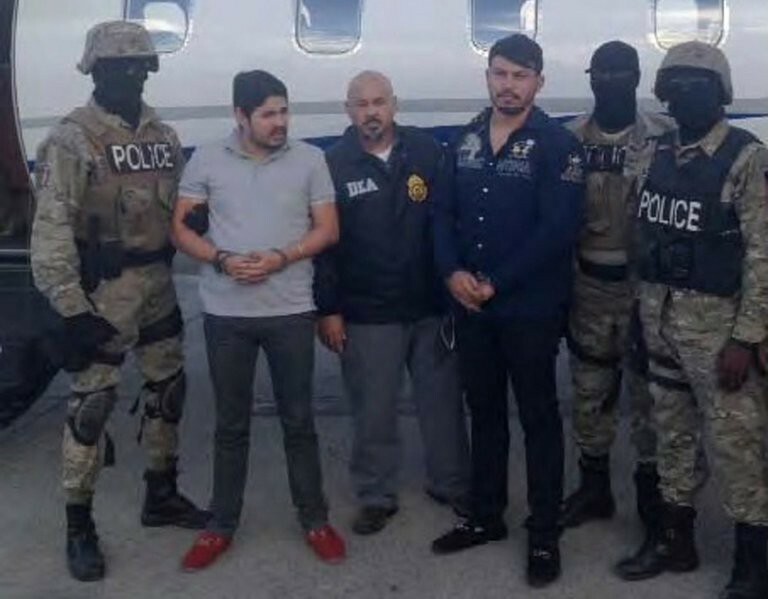 drug ring run by government officials and high ranking officers in the armed forces, in collaboration the Colombian narco-terrorist organization FARC. The cartel gets its name from the the medals high ranking officers carry on their shoulders. What makes matters worse is the fact that even though Venezuela has carried out elections, there is no real separation of power. The judicial system has been used to silence political opposition and free press but has given a pass to corrupt politicians, drug traffickers, kidnappers & murderers. This has made the country one of the most violent and dangerous places in the world, with more than 25,000 reported murders in 2016 for a population slightly over 30 million. In comparison, war torn Afghanistan, that has a similar population size, had 3,500 civilian casualties in 2016. Over the last 4 years the Venezuelan economy has been in free fall. With rampant inflation, food shortages, a failed currency control and low oil prices. The economy has now caught up to the incompetent administration, causing an uproar, with protests that have intensified in recent months. 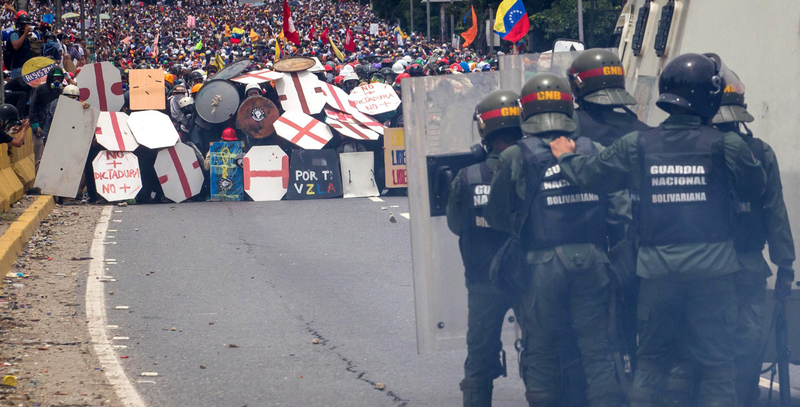 Instead of finding solutions to the problems that plague the people of Venezuela, Nicolas Maduro and his political allies have decided to silence protesters, killing over 66 Venezuelans since mid April. Venezuelan protesters have been using shields to protect themselves against government forces shooting them with tear gas canisters, marbles and in some cases live ammunition. The human right violations and political abuses are no secret. The US sanctioned eight Venezuelan Supreme Court judges, freezing their assets and banning them from travel to the U.S. as punishment for stripping the Venezuelan Congress of all powers earlier this year. A decision the court later reversed amid widespread international outcry. In the middle of all this chaos, Goldman Sachs seems to not care if they are in fact giving working capital to the authoritarian drug ring that runs the country so it can stay afloat. And before someone jumps in and argues that the bonds were purchased from Venezuela’s central bank and not these criminals, understand that these national organizations are run like personal businesses by the ministers, hand picked by Maduro. There is not oversight and the more than $800 million paid by the investment institution will be most likely used keep them in power. Venezuelan/American. I am not a writer or politician, but I think we can all do better.